Below is a listing of County Service Offices who can arrange medical transportation. Please contact the office in your county for scheduling. This program assists the veteran in need of transportation. 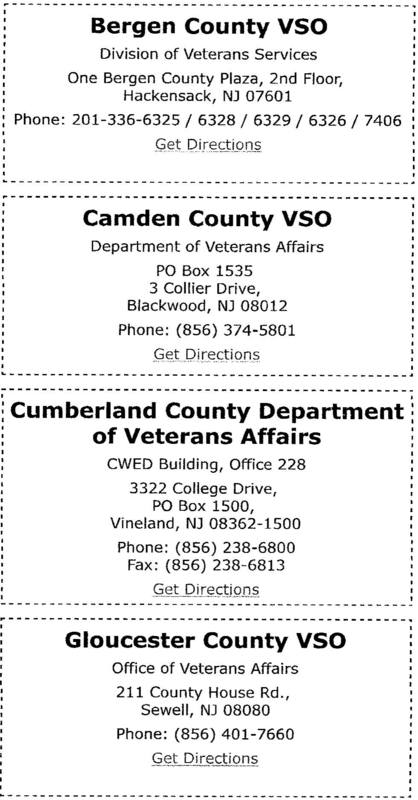 The program originated due to the distance many N.J. veterans had to travel to get to a VA facility for medical care. Free transportation is offered to VA medical centers, clinics, pharmacies, private physicians, regional veterans services offices or job service offices, and other community services in most counties. 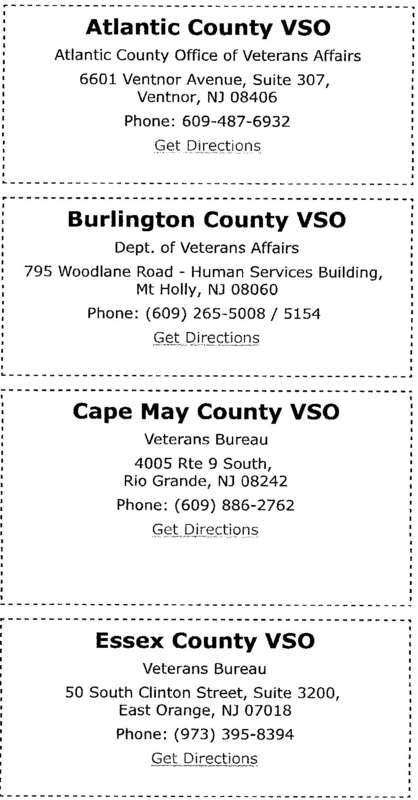 The state veterans service officer in the county should be contacted to explain the details of the program, level of service in that county, qualifications and requirements, and assist in scheduling the transportation.